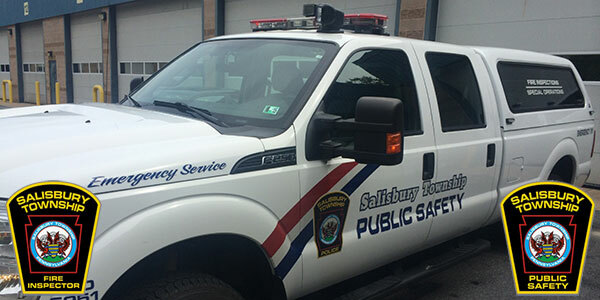 The Salisbury Township Fire Prevention and Life Safety Program was created by an ordinance of the Township of Salisbury Board of Commissioners and began operations in 2013. The Department’s first staff consisted of one full time Police Chief, a Police Fire Marshal, and Police Deputy Fire Marshal that have dual full time assignments in the police department. Five per diem inspectors\ firefighters were also hired to perform fire inspections, provide fire prevention programs, respond to emergency calls, supplement volunteer fire department manpower. The fire inspectors are the (AHJ) Authority having Jurisdiction for Fire Safety Codes and Ordinances in Salisbury Township. The Department established its first headquarters in the Department of Public Safety Building with Police, Emergency Management, and Fire Inspection Program. Our department provides response to all types of emergency calls and calls for service for our 13,500 residents and a 40,000 person daytime population. Daily operation is under the direct supervision of the Chief of Police and Fire Marshal for Salisbury Township. Our department coordinates and where feasible supplement both Eastern Salisbury Volunteer Fire Department and Western Salisbury Volunteer Fire Department who are both located in Salisbury Township. Please contact our office at 610-797-1447 for any questions or concerns about our Fire Prevention and Life Safety Program.